With Windows 10’s developer preview done with, we’re soon about to see the operating system’s consumer features being showcased by Microsoft. Redmond has put a date of January 21st where the software giant is expected to showcase the consumer side of things when it comes to Windows 10. But that does not mean we won’t get to see any at all before hand. We’ve been able to get our hands on a ton of screenshot’s from build 9901 of the system, which you can enjoy below. 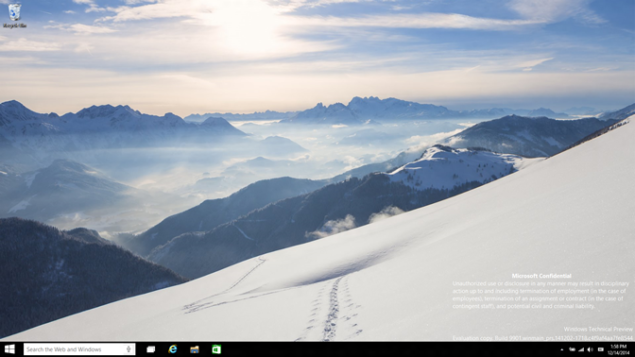 New Windows 10 Screenshots Leak Showing Several Upgrades. This build of Windows 10 receives several upgrades that relate mostly to the aesthetics on the OS and several changes related to Cortana amongst other things. 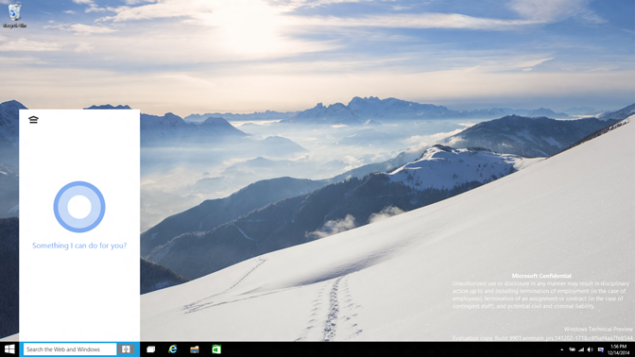 One minor detail that has received an upgrade is the presence of new wallpapers on Windows 10, which although might be a minor detail yet shows an overall better looking platform. Task bars and title bars also see a return but a major upgrade in this build of Windows 10 is Cortana, Microsoft’s Voice assistant. Cortana has been integrated with the search bar in the taskbar and look much better then previous previews. To see Cortana in action on video for the first time, click here. The Settings, Store and title bar on modern apps also receive upgrades. 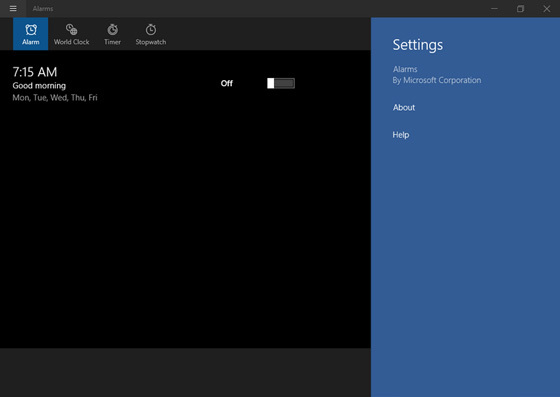 We now see Settings being displayed inside the app Window rather than on the side pane in Windows 8 and above. Title bars also receive a simplistic, modern look. The Settings on Windows 10 also receive more upgrades apart from the ones shown above. 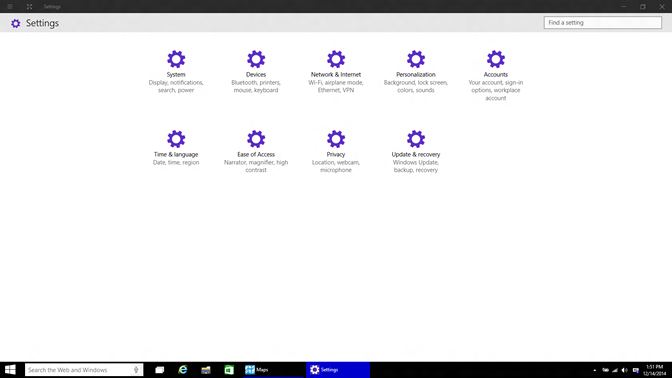 We now have an entirely new Settings menu, that replaces the PC Settings and Control Panel in an entirely new app. Take a look below. An all new Get Started app is also now available in Windows 10, which should help new users get used to the operating systems and their PCs/Notebooks quite easily. Take a look at the Get Started app below. A major change in build 9901 of Windows 10 is the Xbox app, which should now offer better functionality for gamers all around. 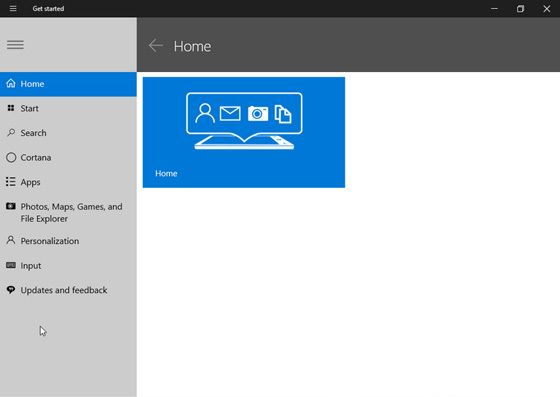 Microsoft has designed an all new Xbox App for Windows 10. 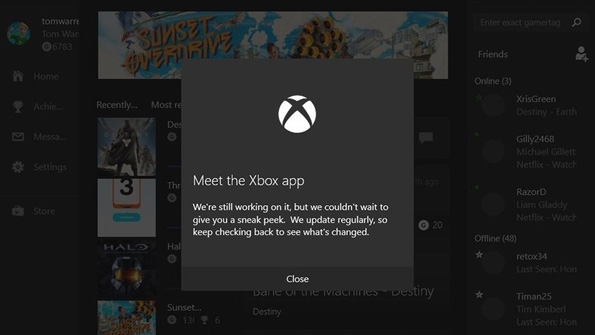 Previously Windows after Windows 8 saw a great amount of Xbox Apps present, and this time looks like the Xbox SmartGlass App for the Xbox One has received an upgrade for Windows 10. 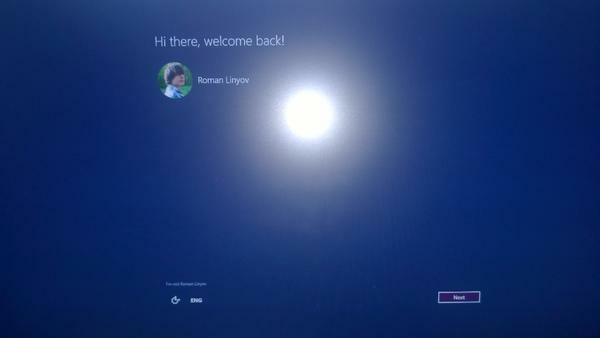 Well that just about rounds up the major upgrades in Windows 10 that we’ve been able to lay our hands on today. Microsoft seems to be making the right changes this time around, and Windows 10 should undoubtedly feature improved performance, user functionality and feature integration. Thanks to the folks over at MYCE for the screenshots. All we have to do now is wait for January 21st to see how far things have gone over at Redmond, officially. Stay tuned, we’ll keep you updated.